Um, excuse me, but you are NOT ox-wide. My mom says you are cute as a button and she wanted to put you in her pocket, and she's a mom so you have to believe her. It's in The Code. The shawl is gorgeous, congratulations!!! 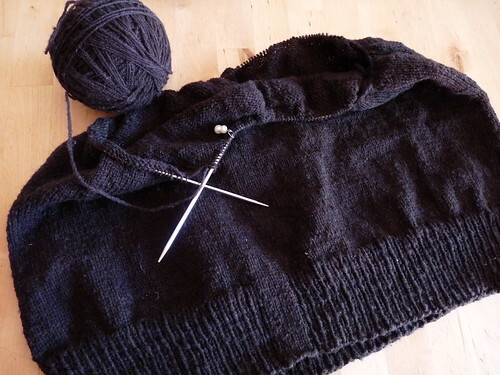 about the Schact contest, and the trueblack sweater will be lovely! 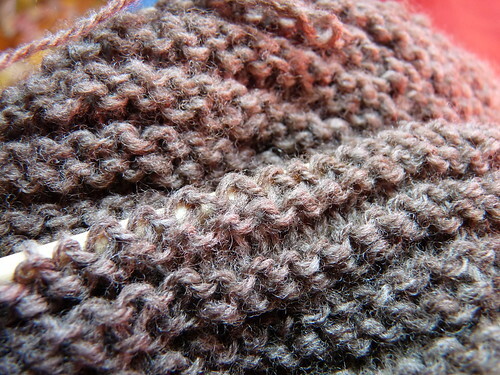 Have you considered alternating the lighter skein with an upcoming darker one? I'm sure you have. You're clever like that. I moved the EK batts so they're next to the Henna bag on my desk. They're chatting and getting to know one another. Only good can come of this. Congrats on making the finals! The shawl is gorgeous. Congratulations! It sounds exciting to be a finalist. The shawl is absolutely gorgeous. I am going to buy that pattern right now. I can see all the lovely colour variations in your shawl. It's beautiful! I really am spoiled too...I luv working with my own handspun and I almost never buy yarn anymore. Lambtown in Dixon is in 12 days (Oct 3)! I am beyond excited- I will be getting my one allowed fleece there this year. 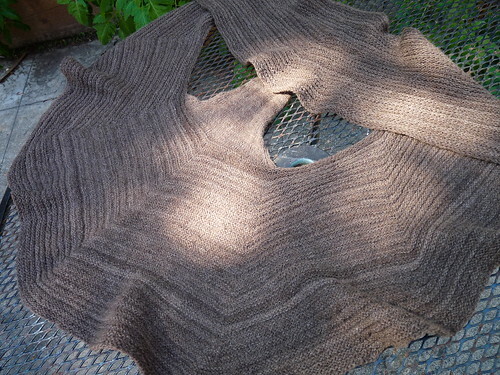 I am blown away by the shawl. The fulling definitely did make the fabric more amazing. Whoa. 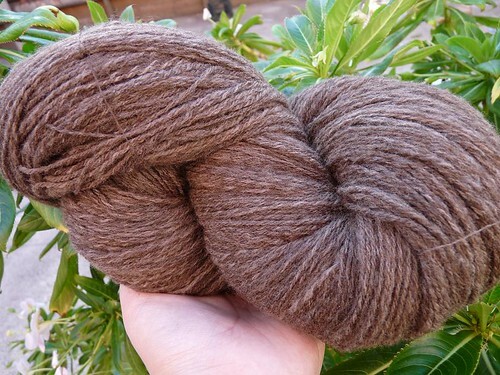 That is one BIG skein! And your shawl is just...breathtaking! 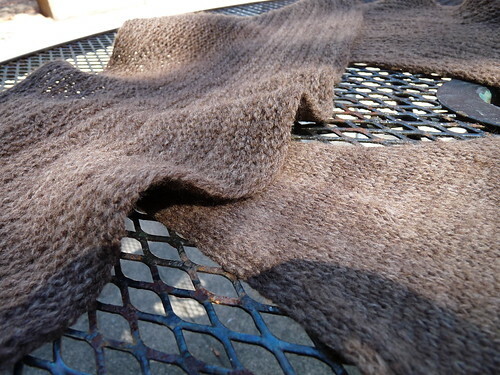 I love how it shows off your handspun...a true inspiration!